"User Summary supported by Dark Reign is a real time strategy game that introduced some concepts and mechanics that were revolutionary for their time. Other games of the time and genre did not offer these features for many years subsequent to its release. The game is one of three in the series. 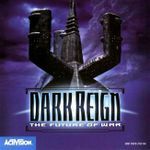 An expansion, Dark Reign: Shadowhand Operations, was released the following year on March 31, 1998, and Dark Reign 2 was released on June 30, 2000. Dark Reign, and its expansion, offered variable points of view and adjustable depth of field, but was not considered to be a 3D RTS. Dark Reign 2 was a 3D RTS as we understand the concept today. Dark Reign was originally sold with a thick printed manual that included a rich backstory explaining the history of the two warring factions: the Freedom Guard and the Imperium. There was also a third faction, the Togra, although in gameplay this faction was almost exclusively nothing more than a combination of the two forces. Units, such as the Marked of the Freedom Guard, had their own thematic explanation included in this manual. The game itself is a standard build-your-base, gather resources, defend and amass an army to squash your opponents type affair. It comes with a number of extremely challenging single player scenarios for both factions. The purpose of the scenarios thematically was to prove your worth to the leader of the Togra so that you might save him by intervening during a critical battle that could be reached via his single-use time machine. The elements of Dark Reign's gameplay that were unique for the time are primarily focussed on unit behaviour. It was one of the first games to introduce unit waypoints and allow the player to customise them with specific types of unit behaviour. A Spider Bike, for example, is a light, cheap, fast and low-tech unit available for the Freedom Guard. Useful for keeping the slow resource harvesting vehicles company. It can be set to engage and pursue enemies on sight, engage enemies while within its line-of-sight, or simply to defend itself when attacked. Units could also be configured to scout land and retreat when enemy units were encountered, to pester enemy units by firing at them and then running away, and also to search and destroy; not disengaging from a target until it, or the unit itself, is neutralised." Source: Wikipedia, "Dark_Reign:_The_Future_of_War," available under the CC-BY-SA License.